When Frank Lloyd Wright first put pen to paper on his famous Fallingwater house, he likely couldn’t conceive the changes that would come to his field. In a relatively short space of time, computer-aided design (CAD) software has allowed architects to quickly put together comprehensive and detailed models and send them to colleagues and clients halfway around the world. The biggest changes, however, are yet to come. Now's the time for augmented and virtual reality (AR and VR, respectively). Forget the VR you would’ve seen in the arcades of the 1980s and 1990s – modern VR is something else entirely. With sleek headsets you plug into your computer, you can quickly gain access to immersive virtual environments. It’s not like looking at a computer screen. Instead, the world encompasses everything you see, with a degree of depth perception not possible with a traditional screen. The benefits for architecture are plain to see. An architect can sit at his or her desk and pop on a headset. Within moments, they can be inside their latest home or office space, seeing how a staircase intersects with a wall or how the building itself intrudes on neighbouring properties. AR is a little different. Instead of putting on a headset to view a virtual world, you’ll put on a piece of hardware similar, but designed to overlay objects in the real world. It’s an important distinction. With AR, our aforementioned architect can design a digital model and see how it looks in front of them – right on the floor. You may remember the clever AR app IKEA designed – it’s a good example of what’s possible with the technology. For an idea of just how powerful these new technologies can be, it’s worth taking a look at one company in the US – Iris VR. This is a company that takes building projects still in development and turns them into virtual experiences, so architects and their clients can actually see how a space will feel before contractors start pouring concrete. In a 2016 article in Wired, Iris CEO George Valdes noted that “You can’t help but say wow”. “It happens every time a client or an architect jumps into a project for the first time. You can literally bring them into the project, and that makes design a more human experience,” he explained. According to Wired, Iris VR has over 15,000 clients, with most in the architecture and construction fields. Clearly, there’s value in the concept. The Wired piece also pointed to US firm Ennead Architects, which uses VR in an entirely different way. Instead of just recreating the spaces to show clients, the firm uses the technology to test things like natural light, gauging how dark or light a space will be. This really is just the beginning. As AR and VR develop, we’re going to be seeing more and more uses for technology that just aren’t possible with more traditional platforms. The technology is rapidly maturing and architects are already using the technology. So why aren’t we hearing more about it? The short answer is that it’s difficult to give people a sense of how useful the technology is without them first using it. Here’s a little more on that. According to the International Data Corporation (IDC), global shipments of AR and VR headsets have continued to climb this year. The IDC noted that shipments grew 25.5% year over year in the second quarter of 2017, with shipments hitting 2.1 million units. 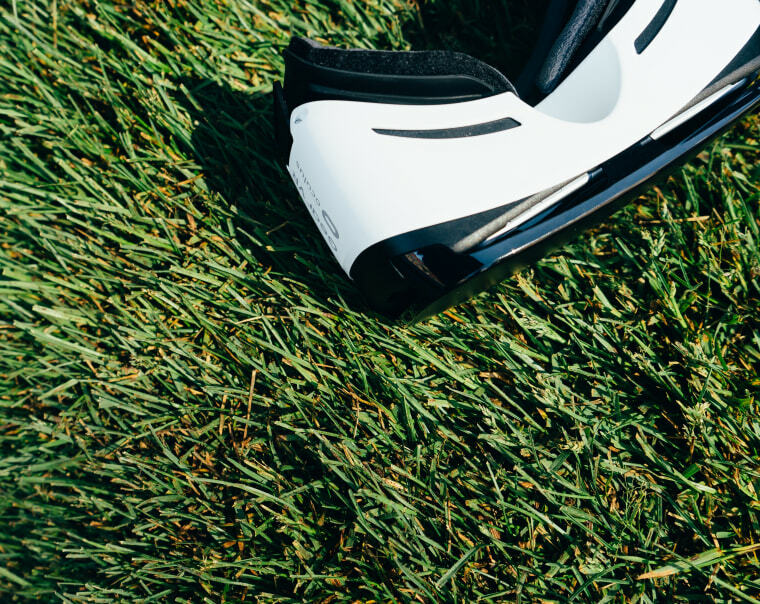 "Growth in the VR market has been rather sluggish compared to other recently introduced technologies as the amount of investment and, more importantly, the need for end-user education is extremely high for VR," said Jitesh Ubrani, a senior research analyst. Imagine trying to sell a piece of hardware that you have to actually use first to get a sense of how useful it is. When Apple releases a new iPad, companies know what they’re getting. With VR, it’s a lot harder. It’s a bit of a stretch, but consider the barriers when selling the first automobiles. People had been getting around a certain way for so long that it was some time before the general consensus on cars changed. VR and AR are in a similar boat. It’s going to take time (and many, many demonstrations) before the general perception changes. With the technologies providing clear, tangible benefits for architects, it’s not going to be long before they become mainstays of firms. The augmented and virtual future is fast approaching – and it’s looking good for architects.